Stories of celebrities neglecting their family members have been on the rise. Among them is controversial gospel singer Willy Paul Msafi who is alleged to have neglected her mom. 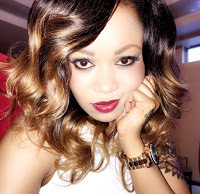 Scandalous socialite Corazon kwamboka too was in a similar saga after an anonymous man who claimed to be her father claimed that she was a family disgrace since she had abandoned her family. The latest case is the bleached socialite, Vera Sidika’s allegations that she deserted her parents in Mombasa where she was brought up. A few days ago, the well endowed socialite’s grandmother passed away after a short illness while her 94-year-old grandfather was also admitted to hospital. My grandma gave me that name Sidika. We love you grandma, but God loved you more. `praying for grandpa to make it through .He’s 94 years old but very strong. The controversial socialite then went ahead to open up about how she loves the same family that she had allegedly abandoned. FEEL BAD FOR MY DAD, I’M TRYING TO PUT MYSELF IN HIS SHOES. YEAH, THEY OLD BUT STILL MUST BE HURTING TO LOSE A PARENT. HE WAS CLOSE TO HIS MUM. WELL THEY SAY WHEN OLD PEOPLE PASS ON IT’S MORE LIKE A CELEBRATION OF LIFE.I LOVE MY DAD SO MUCH, YOU HAVE NO IDEA. I’M HIS ONLY DAUGHTER AND FIRST BORN. THEN GOT 2 YOUNGER BROTHERS. LAST BORN IS MUM’S PET/HANDBAG. I USED TO BULLY MY BROS WHEN THEY WERE YOUNG. BUT BEING ALL GROWN UP AS A FIRST BORN, YOU CAN IMAGINE THE RESPONSIBILITIES. I LOVE SEEING MY FAMILY HAPPY. WOULD DO ANYTHING FOR THEM. THEY MEAN THE WORLD TO ME.I TALK TO MY FAMILY EVERYDAY! AS MUCH AS PEOPLE MIGHT THINK I NEGLECTED THEM BECAUSE OF FAME. THEY HAVE NO IDEA HOW CLOSE I AM TO THEM. THEY TOO APPRECIATE THE FACT THAT FAME DIDN’T CHANGE ME. I’M STILL THAT SWEETHEART.